Our firm is often called on to assist homeowners whose properties may be in foreclosure. This can occur when a person falls behind in their mortgage payments to a bank or other lending institution. Because of the high volume of such foreclosures in New York State over the past several years, additional safeguards have been added to the judicial process to protect people from losing their primary residence in a foreclosure case. Prior blog posts have explained how New York State requires a mandatory settlement conference in most residential foreclosure matters. The main exceptions are cases involving a reverse mortgage, or situations in which the homeowner does not reside at the property being foreclosed, such as a second home or vacation house. Our attorneys will attend settlement conferences in Court to attempt to resolve outstanding foreclosures. Court referees, who meet with the parties in an attempt to resolve these cases, encourage lending institutions to offer mortgage modifications. The first step in the process is that the borrower must provide complete financial information to the lender (or, in most cases, their attorneys). This information usually consists of a standard Request for Mortgage Modification Form (RMA), copies of state and federal tax returns for the last several years, a hardship letter from the borrower explaining why they fell behind on their mortgage, proof of income, bank statements, and other financial records as the lender may request. Once this information is provided, the lending institution will consider whether a modification is possible. Based on the borrower’s income and assets, as well as the value of the property in question, as well as the mortgage amount, the lender may offer a trial modification. The trial modification may reduce the interest rate on the original mortgage, and may also shift the past due payments to the end of the loan term, allowing a delinquent borrower to resume payments and have the property removed from the foreclosure process. In certain instances, the lender may even reduce the actual amount of principal owed on the mortgage. 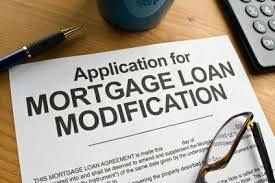 Most trial modifications require a borrower to make three initial payments in the modified amount. Assuming these payments are timely made by the borrower, a permanent modification is usually offered. A permanent modification will require the borrower to sign additional legal documents for the new loan terms. In such instances, we recommend counsel review all such documents to ensure that they match the terms offered under the trial modification. Once these documents are signed by both the borrower and lender, the loan is considered modified and the property will be removed from the foreclosure process. This means that the borrower’s attorneys will file certain documents notifying the Court that the foreclosure case is terminated. We recommend that an attorney duly licensed in New York State handle the modification process on behalf of the borrower, as there are many unscrupulous companies which attempt to take advantage of homeowners who are in need of assistance. Once these documents are filed with the Court, the case is concluded and the borrower can continue to make payments under the mortgage modification. Our attorneys have extensive experience in defending borrowers in foreclosure actions, and in obtaining mortgage modifications which allow them to remove their homes from foreclosure, and welcome all inquiries from distressed homeowners.